A middle-aged man is seated at his desk, working alone in his office. A four-year old boy is on the line. There is real anguish in his voice. "Dad.... Dad.... M. is sitting on my head". "Why is she sitting on your head? ", the father asks. "I not know", he then responds softly. "Bye Dad!" I could not help but laugh out loud at this exchange, after my son put the receiver down. I felt horrible for laughing behind his back. Although I knew I wasn't laughing at my son, but at his words, still it felt wrong. To make it worse, I adored the part when he gently said "I not know". He did not say his sister was sitting on his head because she was "horrid" or "naughty". He said the simple truth. He did not know. Youngsters have such a beautiful relationship with the truth. From the ordinary blank truth - like my little boy's "I not know" ... all the way to dreamy, imagined stories to explain their naughty escapades. Like the story about strange creatures coming into the house and throwing all the books under their beds while they were sleeping. Truth is multi-dimensional in their lives. But, wait ... isn't that exactly what life is like? Please keep this truth in mind when searching for the best children's books. The best children's books are the multi-dimensional ones. I've always been fascinated with the idea that complexity can come out of such simplicity. 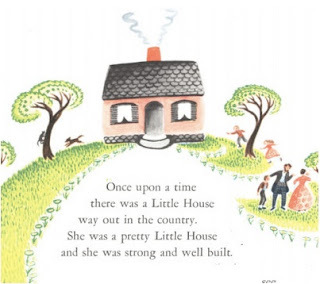 The Little House is nothing less than a fabulous story from a legendary writer of children's books. I came across the the Little House, by chance. One book led to another. Virginia Lee Burton first caught our eye with the uber famous Mike Mulligan and His Steam Shovel, a story that we have in our 20th-Century Children's Book Treasury. That was the only Burton story that we read until recently. And then a month and a half ago, a fantastic review of her picture book Life Story (The Story of Life on Our Earth From its Beginning up to Now) on Anita Silvey's Book-A-Day Almanac prompted me to pick up Life Story. And boy, was I happy! What a gem! 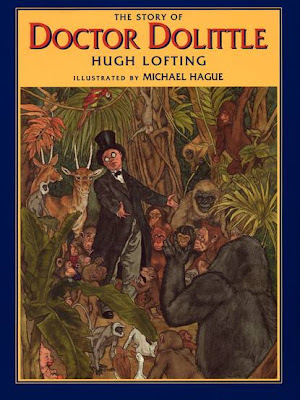 A non-fiction picture book of the highest caliber. To quote the Almanac: Life Story is "a stellar example of Burton's genius". However, Life Story was still above the heads of my twins. There was no time to wait, I had to find Virginia Lee Burton's The Little House instead. I was hooked on Burton. 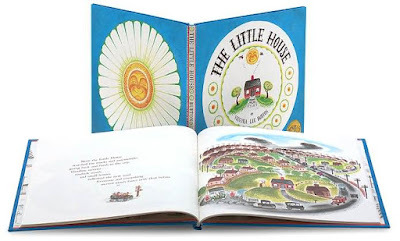 The Little House was such a great success for Burton, who won the 1943 Caldecott Medal for this extraordinary creation. The Little House, which has been in print for 70 years now, achieves no mean feat by spinning a timeless story around the fate of a little house that "lives its days" on the top of a small hill. It is not easy to garner a child's interest for stories that do not involve animals, machines or other youngsters. Yet, Virginia Lee Burton succeeds - and in the process she delivers much more. Although kids will be focused on the fate of the little house that is the center of the story, in fact the book is not really a story about the Little House. It is a subtle story about everything else that happens around it. The Little House is a mute witness of changes in architecture, the industrial revolution, urbanization, population shifts and the passing of time. This is nothing less than a story about the evolution of our civilization and our conflicting relationship with nature. You might be thinking, there is no way it begins with a "Once Upon A Time", yet that is exactly what you will find on the top of the first page. And it works, because it is the fairy tale aspect of the story that will initially attract interest from your kids. We meet the Little House as a small country house perched on a gentle hill, but as years go by, bigger roads are built and new larger houses follow. After several decades a town surrounds the cottage, and before she knows it the Little House becomes part of a noisy, polluted city. As skyscrapers surround the Little House, it no longer can see the sky and even the seasons of the year are no longer discernible. Eventually a great-granddaughter of the man who built the house finds it and moves it out far in the countryside to a new spot, among the apple orchards and green fields. The great Circle of Life has turned, yet the life of the Little House lasts much longer than a typical human life, so the changes witnessed by the Little House are truly enormous. The Little House is one of those rare books that can grow with your kids and as such it is best suited for a home library. When you listen to it as a three/four-year old, you will enjoy the fairy tale. When you listen to it as an eight-year old, you will start enjoying the context. When you read it to yourself, as a teenager, you will appreciate the deeper message. The message about the constant march of life, about how everything changes. It is a great lesson to remind oneself of. Panta Rei - or 'everything flows' - all things around us are constantly changing, from a grain of sand in the desert to the far-away stars in the sky. One of life's most important lessons in the form of a children's picture book. A lovely, inspiring book that will gently remind us about the greater scheme of things, every time we read it. And Isaac Asimov! And Ralph Waldo Emerson! Well, I'm truly impressed. Newton certainly has a great stable of great authors! It must be fabulous walking around the streets of Newton, thinking about all possible bookish references. That is so cool. I will never read Burton's books with the same eyes again. Thanks for sharing this with us @2f04fd44b02f5004c4fadc411b33b1aa !